In Portugal António de Oliveira Salazar was reigning with harsh hand his own private Fascist illusion of an empire that once ruled big parts of the globe. Since 1933 he led the Estado Novo (New State) as a single-party corporative regime. His program was opposed to communism, socialism, and liberalism and pro-Catholic, conservative, and nationalistic. In his mind Portugal was still a pluricontinental empire, financially autonomous and politically independent from the dominating superpowers, and a source of civilization and stability to the overseas societies in the African and Asian possessions. Salazar’s weapon to hush everyone who doubted that vision was called the PIDE. A secret police machinery that is still noted as one of the fiercest, powerfull and cruel in European history. But by the Sixties the cracks in that dreams began to show. In 1961 the Portuguese army was involved in armed action in its colony in Goa against an Indian invasion (Operation Vijay). The operations resulted in a humiliating Portuguese defeat and the loss of the colonies in India. Independence movements also became active in Portuguese Angola, Portuguese Mozambique and Portuguese Guinea; the Portuguese Colonial War started. In 1964 the exiled General Humberto Delgado founded the Portuguese National Liberation Front in Rome, stating in public that the only solution to end the Estado Novo would be by a military coup. The answer came swift. On13 February 1965 he and his secretary were murdered in the border town Olivenza while trying to enter Portugal clandestinely. 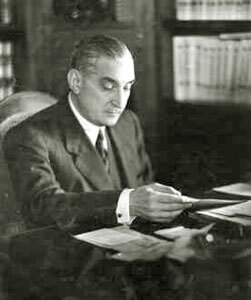 Delgado's family lawyer was Mário Soares who created the Acção Socialista Portuguesa (Portuguese Socialist Action) in Geneva in 1964. And he started asking questions and was immediatlelly arrested. In january 1968 a 100 lawyers send a telegram to the Ministry of Justice protesting this arrest. The international press also got wind of the turmoil and so the regime kicked everyone out. The Overseas Press Club of America protested the “harassment of American correspondents” without much result. Soares is temporarily released but in March 1968 arrested again and sentenced him to banishment to the São Tomé colony in the Gulf of Guinea. This involuntarily confirms Soares position as one of the leaders in the underground opposition movement. The tightned censorship on the media let to an appeal by local columnists, and prominent members of the democratic opposition appeal to the National Assembly. In response the regime arrested and imprisoned their leader Urbano Tavares Rodrigues. Anti colonial elements also began to stir locally. At first they were aimed at the USA with anti-Vietnam war demonstrations in january at University of Oporto and a month later in Lisbon. The police use steel helmet, batons, machine-guns and teargas to disperse the protesters that marched against the U.S. embassy. The demonstrators shout “Out with the Americans!” and “Peace and liberty for the Vietnamese people!” and burn a Johnson-puppet made out of straw. Wilfred Burchett’s book “Bombs Over Hanoi” was banned from the kiosks. But ongoing the year the protests changed from the Vietnam war to the portuguese colonial wars in Africa and Asia. Students were drafted but refused to go. In March a bomb explodes in front of the Portuguese embassy in The Hague, Netherlands, in protest of the Portugues colonial regime. Cracks came also in the support of the regime by the Catholic church. In january Francisco Sousa Tavares, a liberal Catholic leader, was arrested for questioning the support. In april government dissolves the Roman Catholic inspired liberal cultural society Pragma on the ground that it was engaging in “activities prejudicial to the state”. 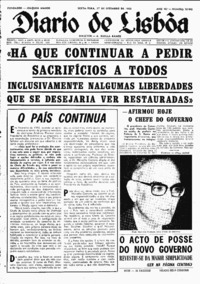 Later that month journalist Raul Rego (subeditor of the liberal evening newspaper Diário de Lisboa) published a book of letters to the Cardinal Patriarch of Lisbon (“In Favor of a Dialogue with the Cardinal Patriarch”) criticizing the church’s support of the authoritarian regime of Premier Salazar. He challenges the church to break its silence with regard to issues of social justice and public liberties. His book is forbidden and Rego is transported to the political prison at Caxias (he is released a few days later after intervention by the Cardinal). By June the protests against Salazar’s regime began to grow and grow. And all met with the same respons. 1,000 persons signed a petition against the deportation of Mário Soares and were found the PIDE on their path, Maurice Béjart, the French choreographer, shouts “Down with dictatorship!” after a memorial performance for Robert Kennedy (he is expelled from the country), the office of the publisher of Seara Nova is raided by the police and the core of the LUAR (the League of Union and Revolutionary Action) is arrested. The conclusion to all this repression comes in September with a seemingly futile event. Salazar trips and falls on his head. An operation has to remove a blood clot in his head but during his recovery he relapses in hospital and is left in a coma. Marcelo Caetano is named Salazar’s successor by President Américo Thomaz and is asked to form a government. Caetano tells newspaper editors that he would not end censorship, but favor a lighter control of the press. The oppostion sees its chance on October 5 when during the national memorial service for the revolution demonstrator start calling for “amnesty, election and liberty!” Clashes between demonstrators and police occur at the close of the ceremony as 130 students try to force their way through a police barrier carrying posters saying “Down with political police!”, “No more deportation!” and “Mário Soares back home!” The police chase the students using batons. The regime gives a clear signal that liberalization does not include street demonstrations. The incident is the first time in years that anyone dared to go into the streets with posters demanding liberty and elections. But to present a more democratic face to the world, Caetano releases many political prisoners, Soares among them. Meanwhile the Catholic support also suffers from internal troubles. A long latent dispute in the Roman Catholic Church in Lisbon becomes public. Rector, Vice Rector and five prominent professors at the Olivais seminary resign in protest. The seminary considered the spearhead for church reforms has been under attack from the conservative members of the church hierarchy as a center of subversion. The resignation follows an order to transfer the seminary to the new Catholic University. Roman Catholics occupy the foyer of the Lisbon Patriarchate for 3.5 hours in protest. In November 5,000 students demand university reforms and clash with the police. The governement responds by closing Lisbon’s University faculty the Higher Technical Institute and suspending the school’s student association leadership. But the small cracks give support to the democratic opposition who, for the first time, start acting as one and sign a manifesto asking Premier Caetano for reforms and political recognition. With result, in December a proposal is passed to give all adult Portuguese women the right to vote – if they can read or write and have no police record of course. Like his neighbour Franco in Spain Salazar's regime after WW2 relied heavily on promoting certain folkloristic culture. In Portugal's case that was the three Fs namely - Football (soccer), Fatima and fado (although some say the third F stands for fascism). It tried to sketch an image to the outside world of a peaceful country. In the sixties Fado was almost unbreakable associated with Amália Rodrigues (1920-1999). Her "Uma Casa Portuguesa" was seen as an ode to simple family life. Other popular themes were to sing about love, religion and individual sacrifice. Although within the songs there were sometimes hidden messages fado grew into an international popular genre. And the regime kept a close watch on the lyrics. Still Rodrigues and others managed to slip in sly subversive songs with texts of leftist poets like Ary dos Santos, Manuel Alegre, Alexandre O'Neill and David Mourão Ferreira. One of those artists blending protest into folk melodies was Jose ‘Zeca’ Afonso. His music was colored with political and social connotations which granted him a growing popularity among the working class and the rural population. 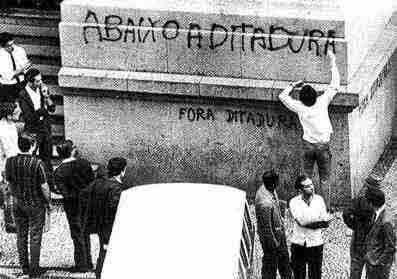 In 1960 his fourth record, Balada do Outono (Autumn Ballad), was released which was a soundtrack for the 62 student strikes demanding democracy and the end of the authoritarian Estado Novo regime. These were brutally repressed by the police. Afonso was able to keep recording due to the fact that he spend a lot of time in Mozambique. Later, after his return in 1968, he recorded his albums in London. Albums that were immediately banned by the PIDE. Marked by what he saw in the colonies his lyrics are an open protest against war, especially the ones in the Portuguese empire. Meanwhile a collective of young Portuguese singers like Sérgio Godinho, Louis Cilia and José Mário Branco lived in Paris. It is here that they experience first hand the power of protest during the May 68 revolts. 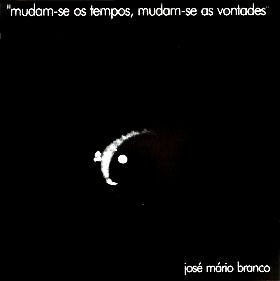 It leads to an album by José Mário Branco called "Mudam-se os Tempos, Mudam-se as Vontades" (they move the times, they move the testaments). with most of these participating. With songs like 'Complaint of the censored young souls', 'Ditty of fire and war' and 'the Charlatan' it was an open protest to the regime. Godinho himself takes things one step further away from the fado idiom and records the folk album 'Sobreviventes' which is a mix of Portugues folk with influences from French Chanson and Bob Dylan. But the swing to beatrock was made by José Cid. Also a person who got scarred by the colonial wars Cid already was involved in underground rock 'n roll since 1960. In 1968 he recorded his debut album with a title that left nothing to be imagined about his leftish intentions. 'Lisboa Camarada' never left the factory. Cid was also part of the beatgroup Quarteto 1111. The A-sides of their popular EP's were not the problem. It was the B-sides with titles like 'It's Time to Think in Terms of Future' (É Tempo de Pensar em Termos de Futuro), 'Everybody Needs Love, Peace and Food' and 'A New Way of Seeing the World' (Uma Nova Maneira de Encarar o Mundo) that got the regime nervous. To make things even worse popular singer Tonicha, who used to sing breezy harmless bubblegum pop, decided to release an EP with three songs by Cid. 'Canta José cid' (1968) featured the French songs La Mansarde, Emporte-Moi and Loin d'Ici. Cid also wrote a second EP 'Caminheiro, Donde Vens?' (Wanderer, When do you come?) with the song 'Canção Para um Regresso' (song for a return) pleaing for the return of the troops stationed abroad. By the time Quarteto 1111 was finished with their debut album the fate of the disc was already sealed. The shredder. . In the 1969 general election the democratic opposition (whose political rights were severely restricted) entered with two different lists. Mário Soares participates actively in the campaign supporting the Coligação Eleitoral de Unidade Democrática or CEUD (Electoral Coalition for Democratic Unity). CEUD is clearly anti-fascist, but they also reaffirmed their opposition to Communism. In 1970, Soares was exiled to Rome, Italy, but eventually settled in France. In 1970 Salazar died still unaware that he was no longer premier. By 1974, half of Portugal's finances and the vast majority of its armed forces were engaged in wars in three of Portugal's African colonies leading the country on the verge of ecomomical and social bankruptcy. The "Carnation Revolution" was therefor as effective as bloodless. The left-wing military coup, installed the "Third Republic". Broad democratic reforms were implemented. In 1975, Portugal granted independence to its Overseas Provinces in Africa. Nearly 1 million Portuguese or persons of Portuguese descent left these former colonies as refugees. In that same year, Indonesia invaded and annexed the Portuguese province of Portuguese Timor (East Timor). With the 1975–76 independence of its colonies (apart from Macau), the 560-year-old Portuguese Empire ended. After the fall of the dictatorship in 1974, Amália Rodrigues, falsely, seen mostly by leftist militants, as part of the regime, and were they even accused of being a secret agent of the PIDE. Amália unwittingly encouraged an association with the regime. She namely to have a crush on Salazar and even wrote poems to him when he was in the hospital, shortly before his death in 1968. Addition, it was also very suspicious about her association with Salazar's culture minister, Antonio Ferro. Who defended her work and her world presented as a sort of ambassador of Portugal. 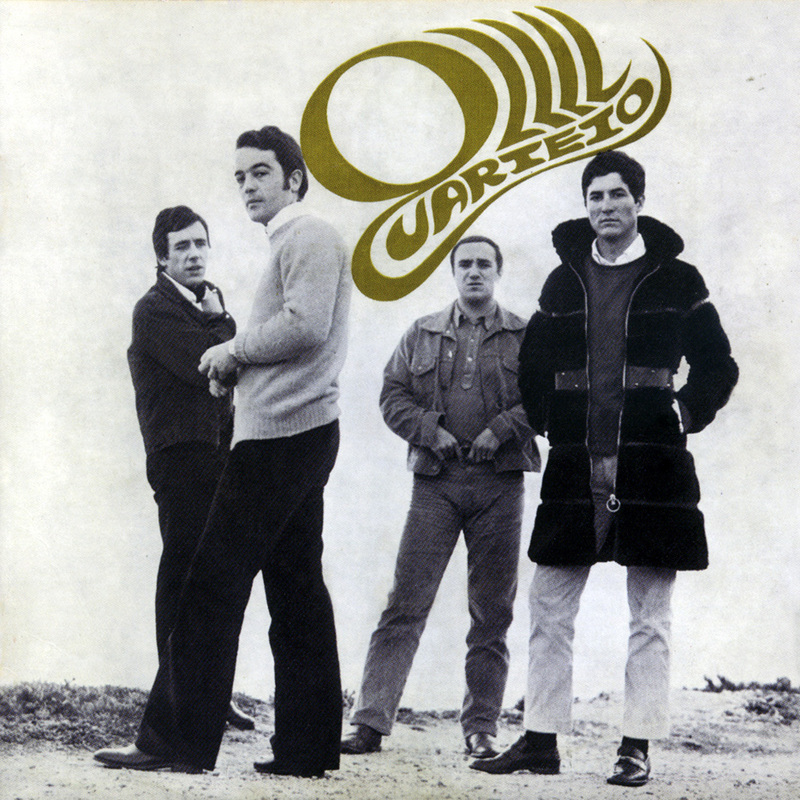 Although the debut album of Quarteto 1111 was taken out of distribution the young music scene to up the idea to organise a .festival in 1969 near Lisbon called the Sun Coast Modern Music Bands festival in Estoril (parquet Salesianos). In total 25 local bands would perform there amongst whom Quarteto 1111, Yaks, Apolo 4, Emotion, Musica Novarum and many more. But also here the regime intervened. An hour before the show started they forbid the festival and a squad car was sent to the park, Outraged youngsters began to throw chairs and setting the stage on fire. But the spark of rock ’n roll was still there thanks to the small lifting of cultural oppression. It gave Portugal the opportunity to hook on to rockmusic and progressive rock scene which emerged by 1971 with Petrus Castrus (Misterios E Maravilhas), Jose Cid solo (10,000 Anos Depois Entre Venus E Marte) and Tarantula (Kingdom of Lusitania), the latest being considered by many to be the first Portuguese metal act. In 1971 finally the first Portuguese rockfestival took place called Vilar de Mouris. On the threshold of change in 1974 singer/songwriter Fausto released his protestalbum 'Pró que der e vier' (For whatever comes) recorded in Spain. With songs like 'Hence this Lisbon', 'Why not sing a dream' and 'It's so hard' he gave word to the protest about to happen. After the revolution of 1974 left wing protest music developed itself as 'Canto Livre' and Portuguese popmusic began to evolve.